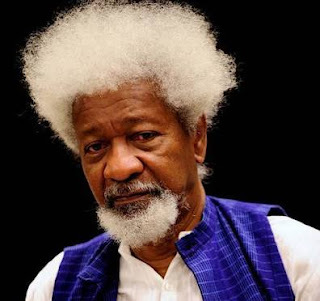 Soyinka won the Nobel prize for literature in 1986 and became a global icon. Now 30 years later, in obvious protest to Donald Trump's shocking U.S Presidential election win, the celebrated writer has vowed to destroy his American permanent residency permit. But his public declaration may not have been such a good idea. 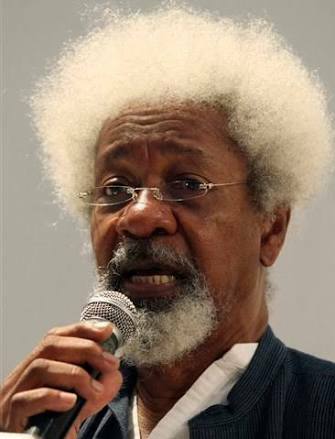 Nobel laureate Prof. Wole Soyinka warned about detroying American Green card by legal expert Mr Kayode Ajulo. The legal luminary warned the Scholar not to carry out his threat. Ajulo gave the advice in an interview on Thursday in Abuja. Soyinka issued the threat to destroy his American Citizen’s Card before voting begun in the keenly contested election between Trump and Hillary Clinton. Most people around the World, including some huge population of Americans, had wished for the Democratic Party’s candidate to win the race to the White House. Infamous choice of a winner. The election of the Republican candidate as the U.S. President-elect had sent some waves of shock to most countries. Reacting to the threat, Ajulo warned Soyinka that he risked a jail term of three to seven years, if he (Soyinka) cut his green card. “I have no problem with Kogi; he is an opinion moulder, an elder statesman and nation builder, who should know the implication of such act. “Under the American law losing or having your U.S. green card destroyed can be a serious problem,’’ he said. He said legally such an act is tagged as wishful destruction of government’s property. Above such things. Ajulo said the truth is that Soyinka is far better and far bigger than that because such act is provocative and unacceptable. He stressed that the literary icon is free to leave the country but does not have to tear the card; instead he should return the card as required by the law. Ajulo said the 82-year-old author, who is currently a resident scholar at New York University’s Institute of African American Affairs, should know better. It is a valuable document he said, and it has a lot of implications for Nigerians. Adamant to keep his promise. Soyinka pledged to keep a promise he had given a few days before the Nov. 8 election, when he told students at Oxford University that “I will cut my green card myself and start packing up” if Trump won the polls. The literary icon also vowed to leave the United States by Jan. 20, 2017, the day president-elect Donald Trump will be inaugurated.